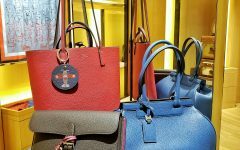 In my opinion, Loewe is only one of the very few brands today that has been doing something right when it comes to bags. 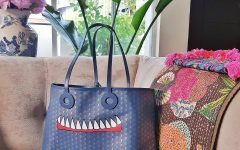 Under the helm of young designer Jonathan Anderson, Loewe has produced bags that are really anything but basic– the Puzzle bag for me, is the highlight of its collection. The Loewe Puzzle really gave the word “versatile” a new meaning. The Loewe Hammock is also another bag worthy of the accolade. 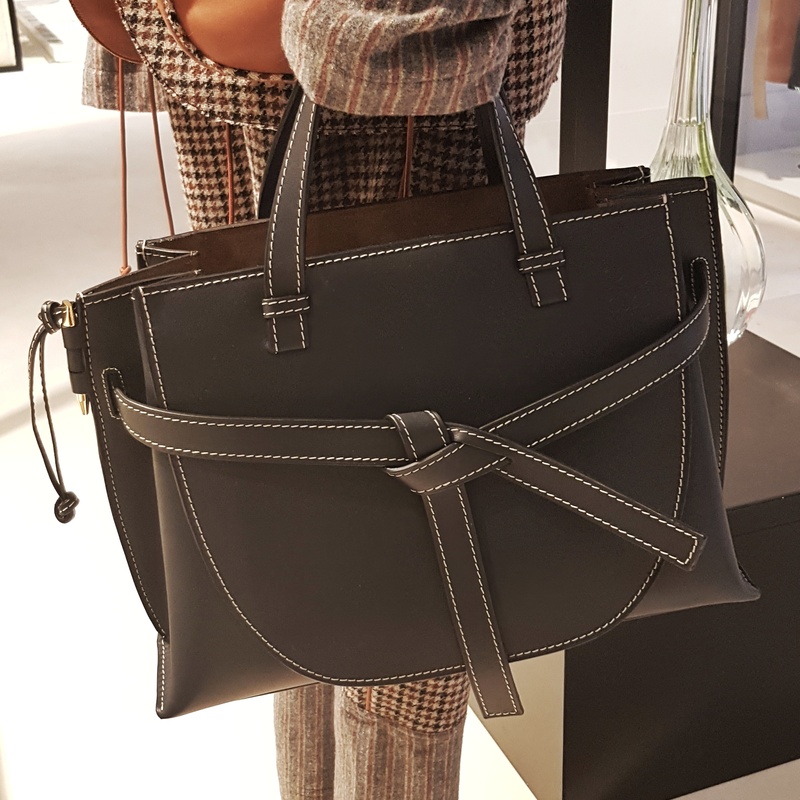 This coming Fall/ Winter season (September 2018), the Gate saddle bag which first debuted early this year will come in tote form. We have seen smaller bags dominate the market for years, but it looks like bigger bags are back in the scene again. 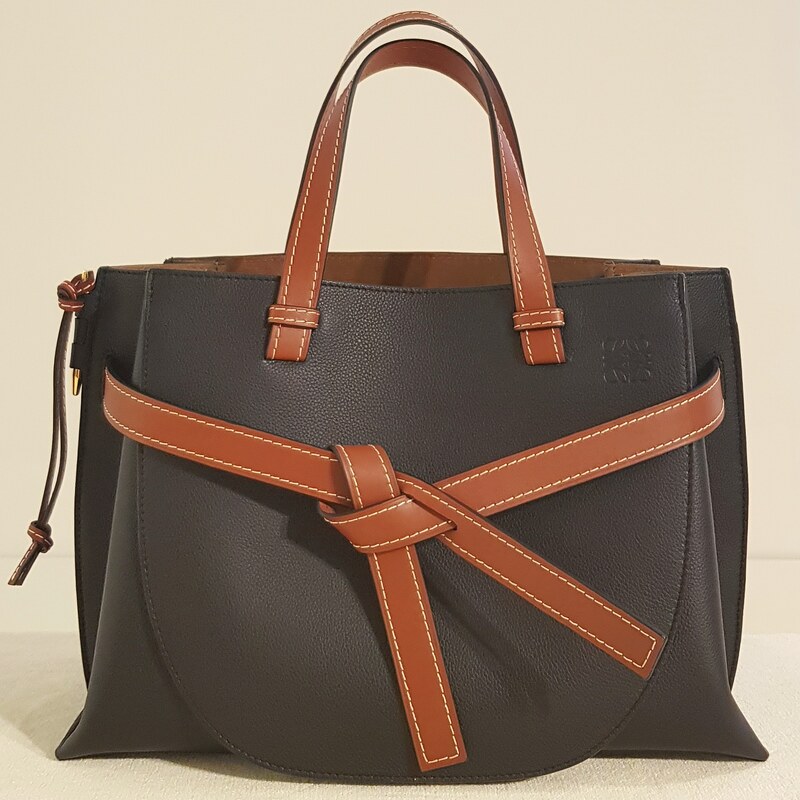 And this Loewe Gate Tote is leading the charge. I have carried this bag around and can say that the bag makes a great daily city bag– for leisure or for work. It is slightly weighty but is not at all too heavy because it remains “clean” and devoid of any metal hardware. I also think this would make a great airline cabin bag that will hold all your travel essentials. It is an open tote though, so best to have those zipped bag inserts to prevent things from spilling out if your bag falls off your hand (haha if you’re clumsy like me). It comes with a detachable shoulder strap for hands- free carry too! So yes, this bag really is pretty and is without question, functional as well. 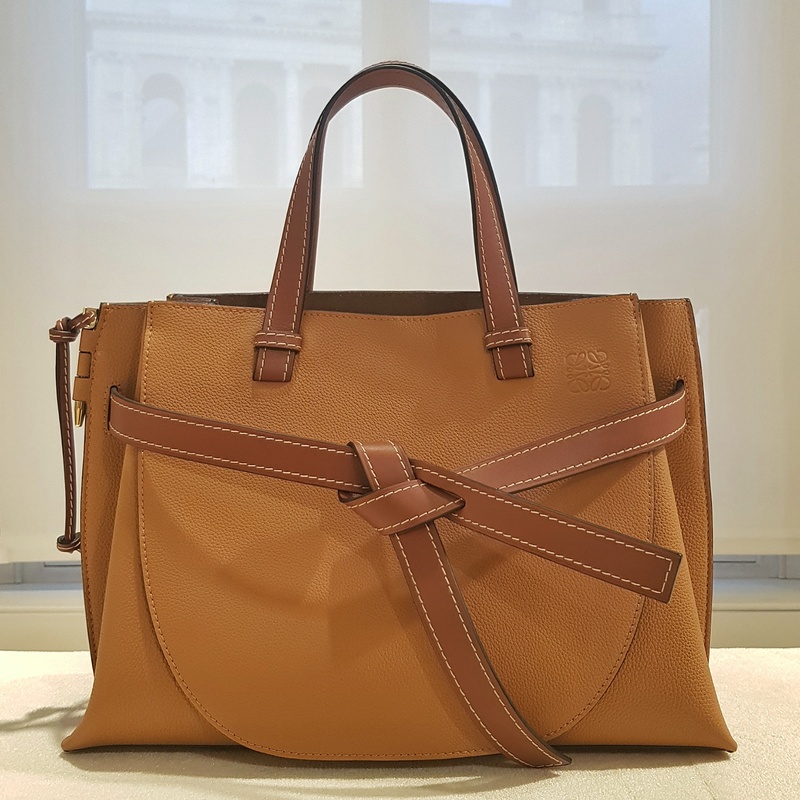 Can’t wait to see it when it arrives in- store at Loewe!